December is the month of Star Wars! With the new movie being released on the 18th, I can see why the theme is Galaxy. I hope the t-shirt or Funko Pop! is from Star Wars or Galaxy Quest. I wonder what else they will include. If it’s anything like the Time crate, I’m sure it’s going to be awesome. 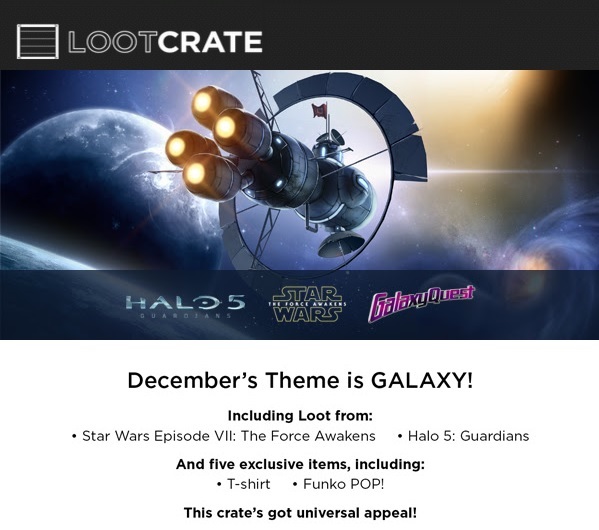 Check out the theme reveal video as well produced by the people at Loot Crate.